The Google Application for Gaming Analytics keeps players playing. Makes it easy for everyone in your company to understand exactly what’s driving your players to stay engaged. 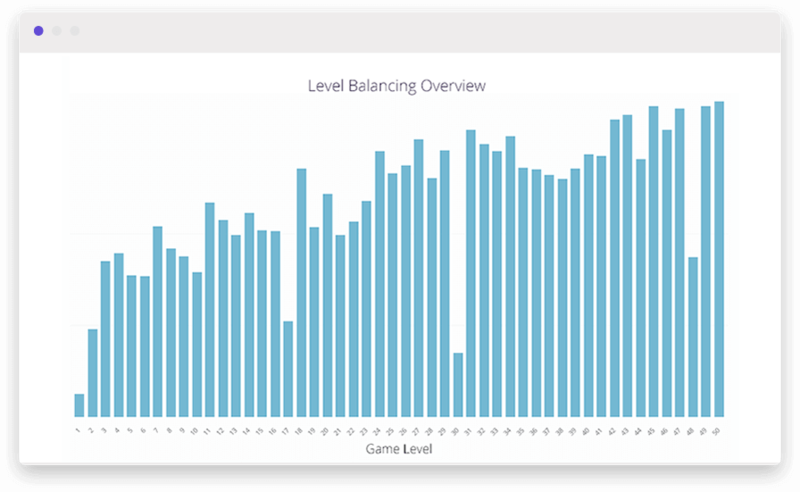 Google’s Application for Gaming Analytics allows companies to understand what features are being used, the difficulty of each level, and the lifetime value of each cohort of users, enabling them to enhance their understanding of what players love about their games. 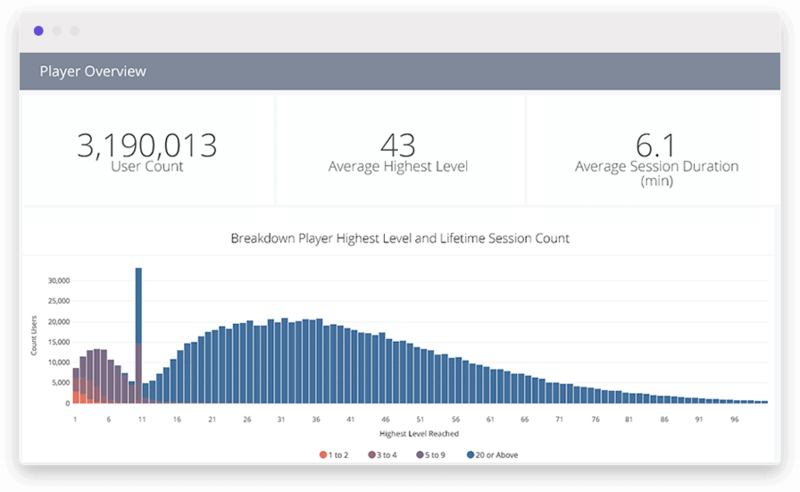 The Game Overview dashboard analyzes downloads and purchases over time, monitors high-level player engagement metrics and tracks trends in daily and monthly active users over time. 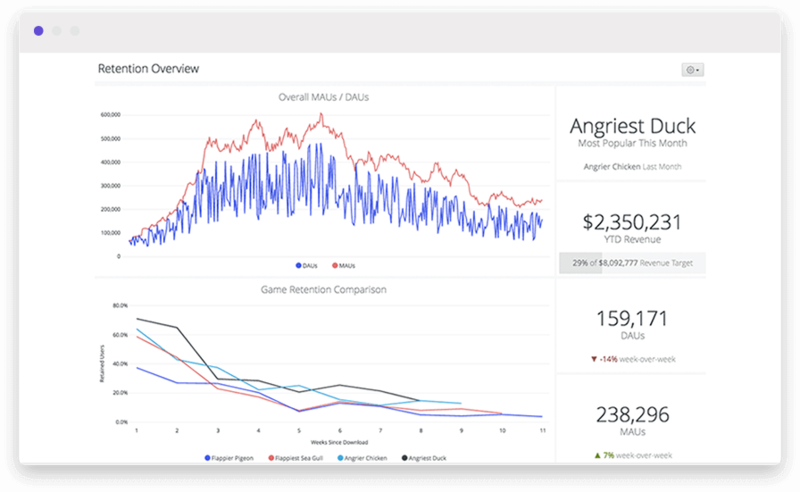 The Platform Engagement dashboard leverages tailored game-specific metrics to understand player behavior, assesses engagement and difficulty with quest attempts and completion rates & refines pricing of in-game purchases to truly understand what converts to sales. Current Customers should reach out to their Looker Analyst. Not a customer? Try a Looker free trial today. Aggregate across 40+ Cross-Channel Ad Platforms in one single view. The Salesforce Block by Segment provides comprehensive analysis on sales opportunities and operations.